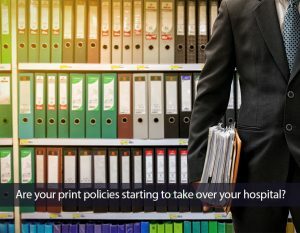 Are your print policies starting to take over your hospital? Large health systems typically store thousands of their policies and related documents in binders that are maintained in departments across the organization. Most organizations are challenged to keep everyone’s binder up-to-date and to maintain a central location that’s easily accessible to affiliate hospitals. The binders are cumbersome; they aren’t searchable (impractical for quick reference, problematic when the Joint Commission visits) and require manual updating. PolicyLogic is a web-based policy management application created to match the expanding digital needs of health care organizations. It serves as a policy and document database and repository promoting easy policy access and administrative efficiency. A collaboration between the Johns Hopkins Department of Nursing, the Johns Hopkins Medicine Center for Information Services, and clinical staff who manage policies on a regular basis, PolicyLogic is designed for use in a health care environment by administrators, department directors, HR, nursing staff and other clinicians. The program is intuitive to use with a user-friendly interface, but it is far more sophisticated than most hospital policy management systems. It uses an HTML platform that looks and feels like a word processor and seamlessly manages policy updates, the review and approval processes, and document version control.